Richard Cranmer Dening - Family life. 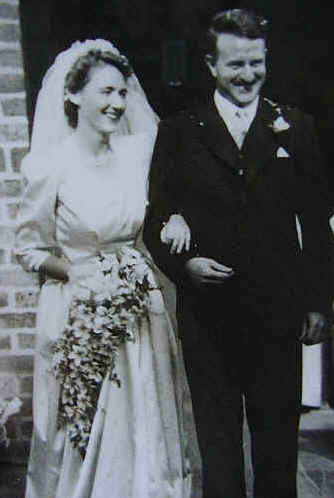 Richard (Tim) Dening married Elisabeth Beadle in Luanshya, Northern Rhodesia on March 5th, 1949. Elisabeth (Betty) had trained as a nurse in Bristol, England during the war. Seeking a more adventurous life (which she certainly found!) she had taken up a job in Africa after the war ended. They first met in 1947 on the train which took them both from Capetown, South Africa ( where the boat journey from England ended) all the way up to Northern Rhodesia. 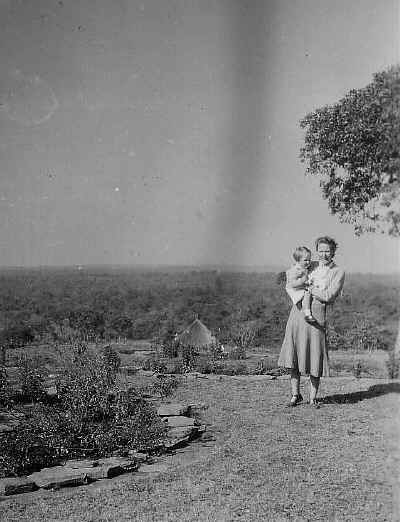 Betty was to work as a nurse on the Mine hospital on the Copperbelt. They did not immediately strike up a relationship, but renewed their acquaintance some time later, while Tim was working in Ndola District. They married after a relatively short courtship and not long after, went to live in Mwinilunga in the north-west of Northern Rhodesia. Tim became District Commissioner in Mwinilunga in October 1949. They lived there for five years, during which time their daughters, Katherine (Kate) and Clare were born. They were in the heart of the bush, with few other European neighbours or recreational outlets. It was here that Tim resumed his childhood hobby of butterfly collecting in earnest. Twice a year he would visit all the villages in his District, in his D.C.'s role. He would hear appeals from the local courts, sort out complaints and land disputes and ensure the payment of tax to the local chiefly authorities, amongst other tasks. Betty would sometimes accompany him, with Kate carried in a meat safe by bearers! Initially, they used bicycles as their main means of transport. They had no European neighbours, so by the time they left for leave in Cambridge in 1954, Kate was fluent in Lunda, as well as English. After Mwinilunga, Tim was in charge of two further Districts, Mumbwa and Samfya. 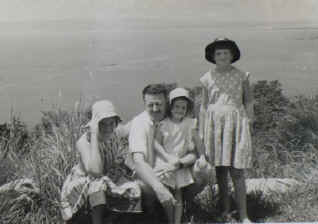 His daughter Barbara were born in this period, before Tim moved into central government in Lusaka in 1959. 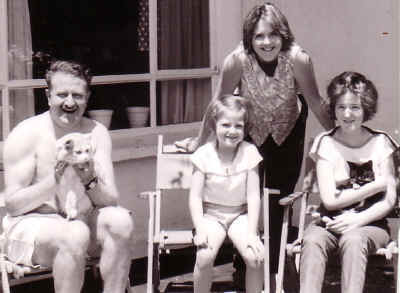 The family lived there until finally leaving Zambia in 1971. Cats continued to be a Dening family tradition. Tibby, a beautiful honey-coloured Persian was Tim's favourite. 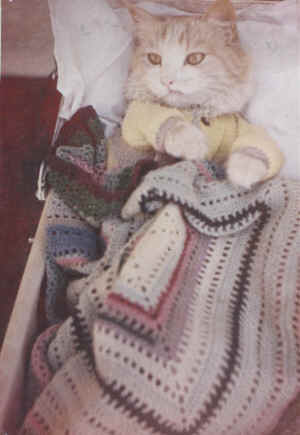 This daft cat would allow the children to dress him in doll's clothes and would then lay on his back in a doll's pram, happily holding a baby's bottle of milk in his paws and sucking from it! 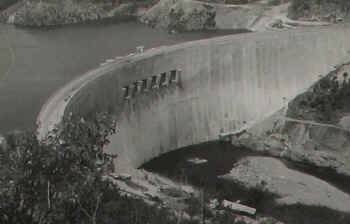 Family holidays were often at Siavonga, on Lake Kariba, which was created by the building of the massive Kariba hydroelectric dam. These were idyllic times of sun and water sports. The family would swim and soak up the sun, while Tim caught butterflies. After Zambia, the family went to live in Malawi for three years, leaving Kate behind. By this stage, Kate was following in her mother's footsteps and was working as a nurse on the mine hospital in Luanshya, while Clare and Barbara were both at boarding school in England. Tim and Betty initially lived in Zomba, before relocating to the newly built capital city, Lilongwe for the remainder of their stay. At the end of Tim's contract in Malawi, they returned to base themselves in England. Tim took up consultancy jobs in his role as an agricultural economist and continued to travel widely. Betty accompanied him on the longer assignments. She used her considerable resourcefulness to make living conditions bearable for them both in countries with minimal resources such as Tanzania and Somalia. They spent three years in Sri Lanka, living in Colombo, before driving back to the UK in the Austin Allegro estate car which they had imported with them three years previously. Betty's diary of this great adventure can be accessed here. Kate, Clare and Barbara had all got married by this time. Kate married Steve Brown, a Hong Kong Policeman and went to live in Hong Kong. Barbara joined her some years later, through also marrying a Hong Kong Policeman, Matt Corker, after an extended visit to stay with Kate and Steve. 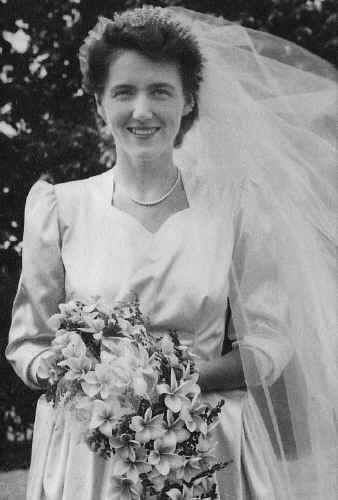 Clare married Robert Halliday, who was in the military, based in the UK and Germany. Tim and Betty retired to the south coast of England, where Tim finally had time to concentrate on his butterfly collection. He spent many years working on the production of a checklist of Zambian butterflies, as well as writing articles on a wide variety of subjects, including BSE, nutrition and politics, all of which he was passionately interested in.